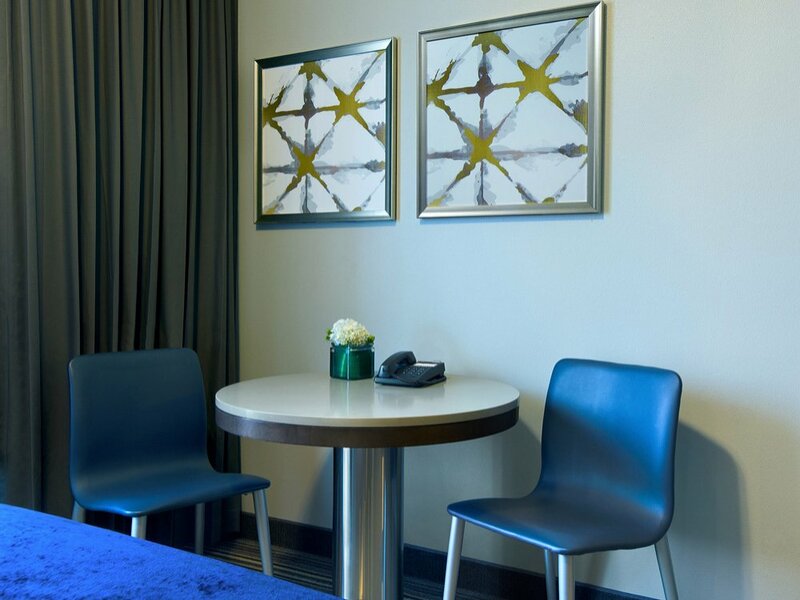 Our guests will enjoy the same great amenities which come standard in all of our suites, with added accessible conveniences. 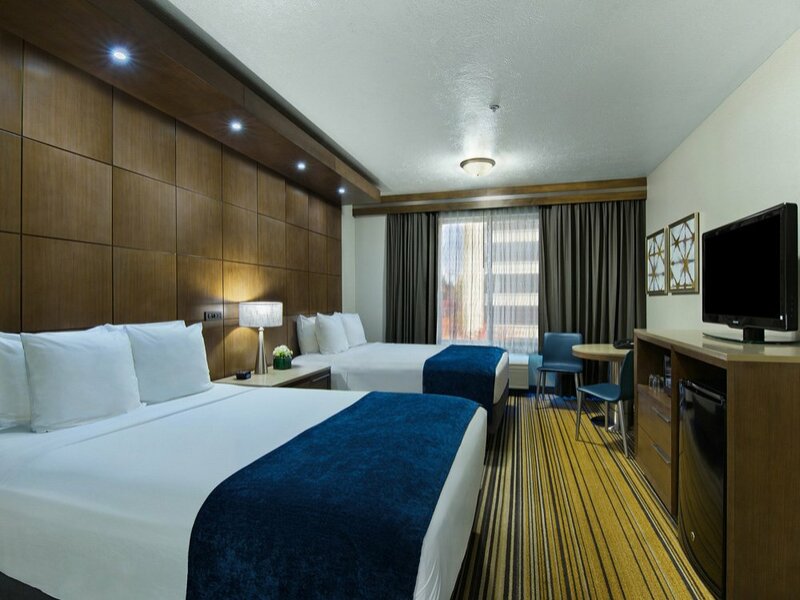 Relax in our double queen suite, boasting the Oxford Suites signature premium bedding package and a roll in shower. Please visit our Accessibility Help Center for more information. 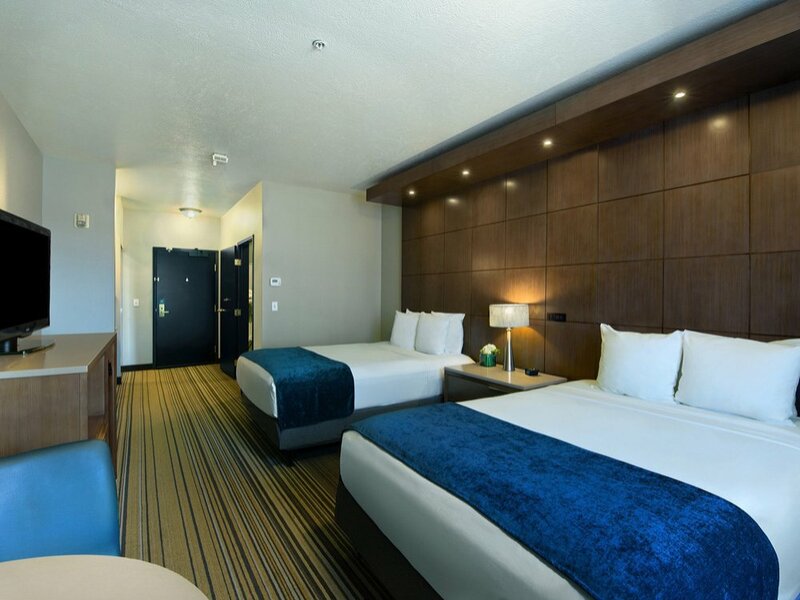 All the comforts of our 2 Queen Suite plus a roll in shower. 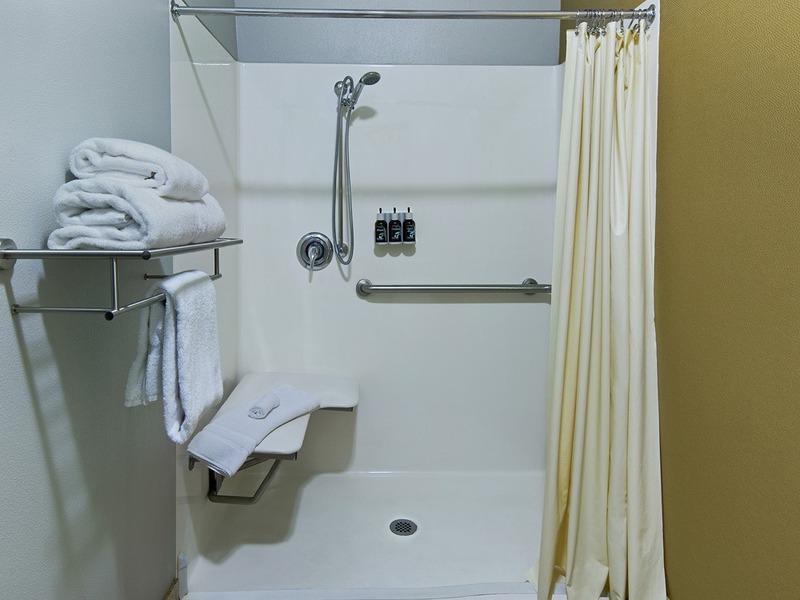 This accessible suite features two queen beds, a roll in shower with grab bars, adjustable handheld shower handle, and a lowered vanity sink. In addition, the suite offers a table and 2 chairs, refrigerator, microwave, flat-screen TV, coffeemaker, hairdryer, alarm clock, telephone with voicemail, and secure wired and wireless internet.